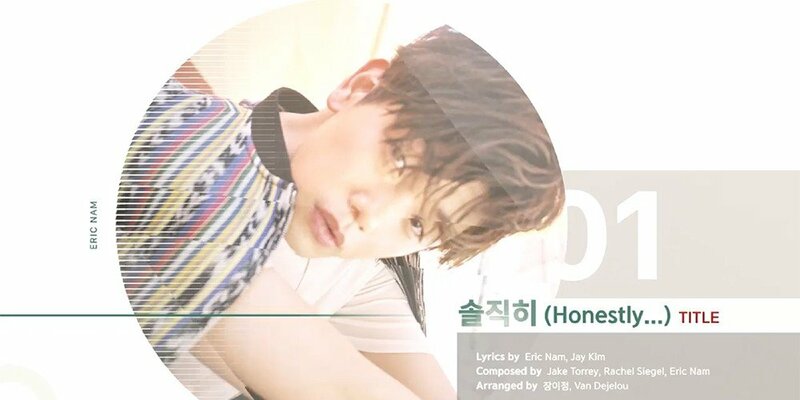 Eric Nam has dropped an album spoiler for his 3rd mini album 'Honestly'. The singer will be working with American songwriters like Jake Torrey, singers like Rachel Siegel, Chris Wallace, Ingrid Andress, and more. He also worked with Urban Zakapa's Jo Hyun Ah for the lyrics to track #3, Epik High's Tablo for the lyrics to track #2, and rap feature artist Woodie Gochild. Check out the spoiler video below.